Eugene H. Steele is a 1968 graduate of University of Miami where he received his Bachelor of Business Administration in Finance/Insurance. He obtained his juris doctorate in 1972 from the Florida State College of Law. He is admitted to the Bar of the State of Florida and inactive in three other bars. He is admitted to practice before the United States Supreme Court, the Federal Southern and Middle District Courts of Florida, District Courts Virginia, Ohio and all Circuit and County Courts in Florida. The Public Service Commission, Court of Claims, U S Tax Court, U. S. Customs Court. Mr. Steele begin his trial career as a law student having tried to a verdict criminal jury trials for the Public Defender’s Office of Leon County. After graduation, he was selected to be one of seven trial attorneys to represent the government in major air crash cases throughout the United States as an FAA Trial Attorney. After leaving Washington D.C., he represented insurance carriers in aviation defense, then joined a major defense firm defending auto and general liability cases obtaining very favorable results. He continued his representation in construction matters medical malpractice and professional liability. In addition, he is a certified Arbitrator and is an NASD and NFA industry arbitrator having held most federal security licenses including stocks and commodities. Mr. Steele also prosecutes and defends first party and third party coverage matters. He has experience in monitoring complex matters for excess insurance carriers. 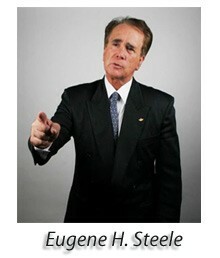 Mr. Steele brings a unique combination of litigation, business and life experience to the firm. He is a member of MENSA. Law Student: Public defender – Criminal Trials – Attempted Murder, Burglary, various other crimes tried. Appeals argued and briefed. Assistant Attorney General – Tax opinion published. Legal Aid: filed the first Dissolution of Marriage petition in Florida under no fault. Videos and book list provided on request.